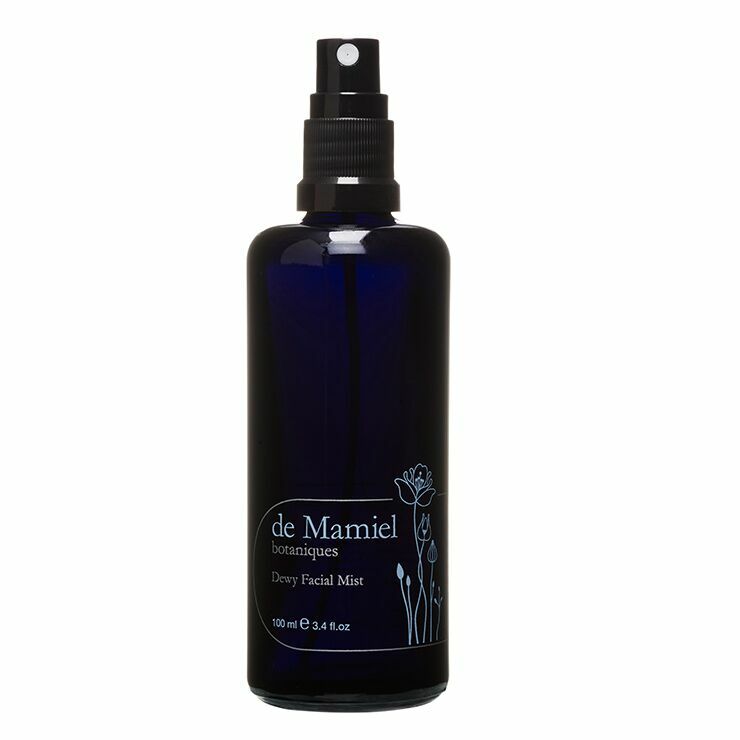 de Mamiel's Dewy Facial Mist has been dubbed a "serum in a mist" due to its potent phytonutrient density and its lasting effect of dewy looking skin. 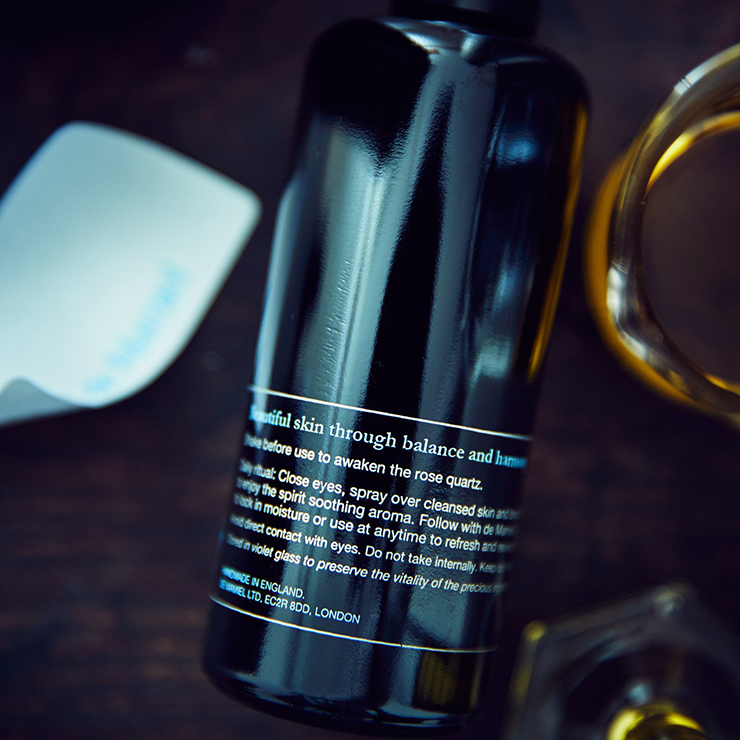 It delivers an instant feeling of soothing hydration, while powerful antioxidants, Superoxide Dismutase and Hyaluronic Acid, lend a protective feel. Packaged for spray-throughout-the-day convenience. Use any time of day! This hydrating face mist is ideal to give an invigorated feel to skin in the morning, or to make tired skin feel energized as the day wears on. Spray over makeup for a revitalized look before a night out. Contains rose quartz, please shake before use.